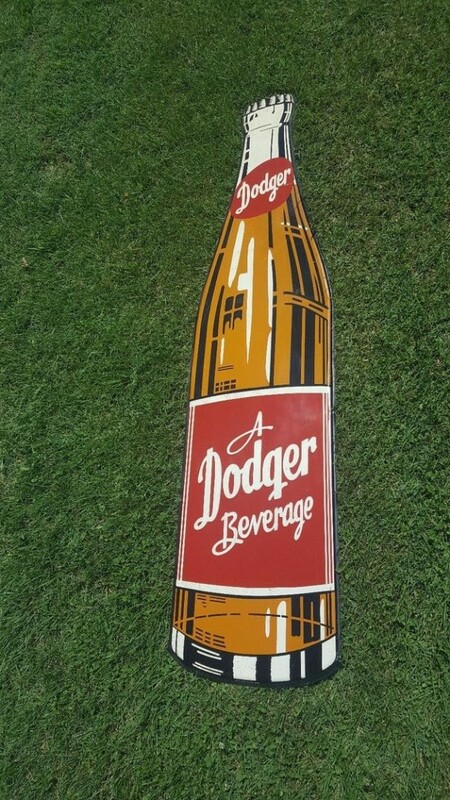 This great sign for A Dodger Beverage is die cut in the shape of a bottle. The bottle is filled with brown liquid which looks like it could be beer or cream soda. The sign is brown and red in color with hints of cream. This sign stands 65″ x 15″ tall.